Once the most widely distributed mammal other than man in the Northern Hemisphere, the wolf today roams free in only a few states. Through deliberate killing of wolves and altering of their habitat, our country has come close to losing its greatest predator. With powerful, rare photographs by Jim Brandenburg, this book explores the troubled relationship between man and wolf. But as it traces the persecution of the wolf throughout history, it also reveals the role scientists have played in preserving Canis lupus. Since 1920, when biologists first began to rethink the importance of predators, they have been out in the field watching wolves – tracking them over thousands of miles of rugged terrain, studying them from the air in rickety airplanes, and more recently, following them with sophisticated radio collars. Their work has not only brought us to a deeper understanding of wolves, but it has helped us to see them as an integral part of our unspoiled wilderness and to try, finally, to right a long-standing wrong. The work of scientists can often seem mysterious and intimidating to the nonscientist. In ONCE A WOLF I wanted to show scientists at work, in the field, immersed in their research and study. This book explores the long, troubled relationship between humans and wolves. The book traces the persecution of the wolf throughout history and also reveals the role scientists have played in wolf preservation. I was listening to my favorite radio station, National Public Radio, one day when the commentator said a plan had been approved to capture wolves in Canada and reintroduce them into Yellowstone National Park in the U.S. I knew there were lots of books for kids about wolves, but I was sure I could make my book different and fresh. 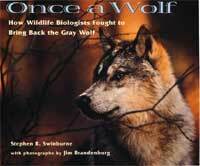 I knew children would be fascinated about the history of wolf hatred and how biologists were trying to save an endangered species and reintroduce it into a National Park. 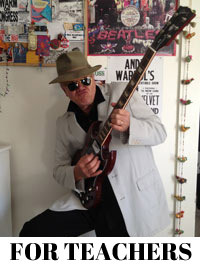 By the way, ONCE A WOLF, holds the dubious record for my most rejected book – 37 times! Did the American Colonists have a positive or negative view of wolves? Where did they get this viewpoint? Imagine you’re a pioneer in 1840 heading out West; write a letter to your family back East describing your feelings about wolves. You are a Native American; write a myth describing your feelings about wolves. Pretend you are a sheep rancher just outside Yellowstone Park. Describe your viewpoint of the reintroduction of wolves into Yellowstone National Park. Create a timeline of historic events that depict wolf hatred and the preservation of the wolf. What key scientific research began to change the thinking about wolves? Read THE WOLVES OF MOUNT McKINLEY by Adolph Murie. Describe his scientific method. How did he collect data? How did he analyze what he found? How did he arrive at his conclusions? Mathematical concepts play a very important role in scientific discovery. What role did it play in wolf biologist’s Dave Mech’s work? Read Aldo Leopold’s essay “Thinking Like a Mountain” from his book SAND COUNTY ALMANAC. Write a poem about wolves. Write a persuasive letter to a rancher about why wolves are valuable and worth protecting. Write a persuasive letter to an environmentalist about why sheep farming is more important than wolves. Write a story from the viewpoint of female wolf number 9. Compare the behavior of a fictional wolf to a non-fictional wolf. List all of the “Wolf” stories you know. How are they similar? How are they different? In many fairy tales, the wolf is always “bad.” Why do you think this is so? Create a series of links that include both pro-wolf and pro-ranching web sites. Communicate with an expert. Use the Internet to locate a wolf biologist. Compose a letter and e-mail it to your wolf expert. Conduct an Internet search for articles about wolves. Hold a class debate about the reintroduction of wolves. Listen to a tape or CD of wolves howling. Conduct a group howl. Write a poem about your feelings listening to wolves. Discuss the possibility of wolves returning to your state. How would you feel? Should they come back? Create a song using wolf howling in the background. Draw mural depicting the history of wolves in the United States. Create a map of the United States showing the current ranges of gray, red and Mexican wolves. Doug Smith’s love of wolves began when he was 12 years old. He is now one of the top wolf biologists in the country. His role model when he was 12 was David Mech. Do you have a role model? Write an essay about what you want to be when you grow up.